This Professional Tote has all the pockets and compartments needed for today's "professional" women. Whether you work in an office or not, this tote has it all. Would also make a lovely diaper bag for a new mom, in her own style! 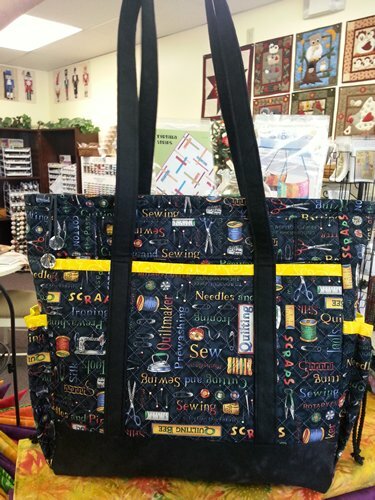 Angie will help you keep organized as you work through all the pieces and parts to make up this versatile tote with ease in this class. $60.